Obituary for Irene Elizabeth (Benes) Torchia | Giunta-Bertucci Funeral Home Inc.
Irene E (Benes) Torchia, age 94, of Medway Massachusetts, passed away peacefully surrounded by her family on March 28, 2019. Born December 19, 1924, in Detroit, Irene moved to New Kensington PA as a baby and lived there most of her life before moving to Maryland and then to Massachusetts. Mrs Torchia worked at PPG as a secretary for ten years and was the beloved wife of the late Bruno Torchia for 50 years. Irene was an active member of Mount St Peters Catholic Church Women's group when she lived in New Kensington and most recently a member of St Brendan's Parish in Bellingham MA. 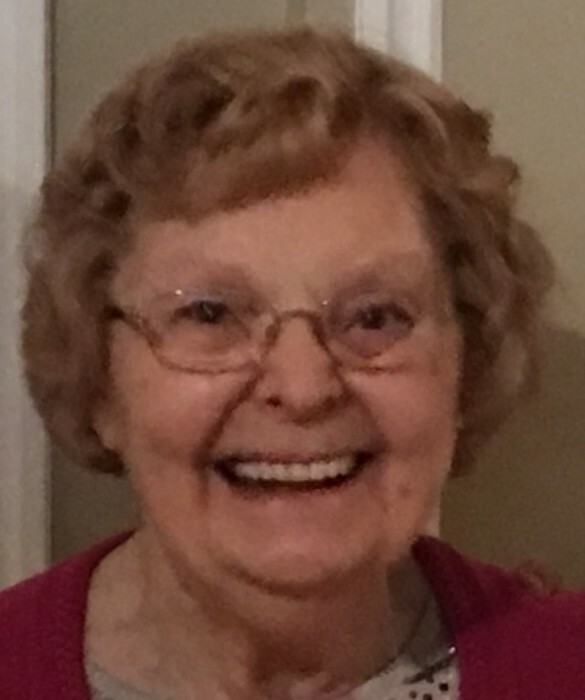 She enjoyed spending time with her grandchildren, baking cookies, playing slot machines and solving jigsaw puzzles which she turned into wall decorations. Her constant companion was her cherished dog, Abby. Irene is survived by her three sons, Tim (Marilyn) of San Diego CA, Dan (Terry) of Powell OH, Jim (Laurie) of Medway MA and her daughter, Tina Gamble (James) of Frederick MD. She has seven grandchildren and two sisters, Dorothy Alexia of Dallas GA and Beverly Suffanti of Wheaton MD. She was preceded in death by her parents Bertha and Charles Benes and a brother, Joe Pope. Friends will be received on Saturday April 6, 2019 from 10 A.M. until time of the Funeral Liturgy outside Mass 12 noon in Giunta-Bertucci Funeral Home, 1509 5th Ave. Arnold, Pa 15068, JohnPaul Bertucci Owner/Supervisor. In lieu of flowers, please send a donation to your favorite charity in Irene's memory as she was very generous to many charities.